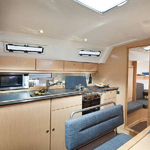 Boat Bavaria 40 Cruiser named Allegro has been produced in 2012. 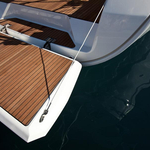 We propose this vessel from base Sukosan in the area of Zadar. 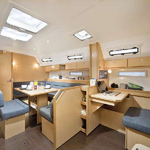 Allegro is licensed for 8 passengers. Layout of the boat is 8. 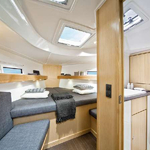 Bavaria 40 Cruiser Allegro has 3 cabins. For comfort of passengers there are 2 bathrooms. You can fill the diesel tank with 210.00 l l. and in water container it goes even 360.00 l liters. 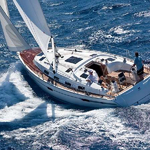 With engine 41 kW Volvo Allegro can sail really fast. 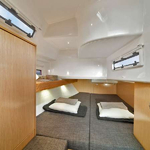 Allegro is 12.45 m long and 3.99 m wide. Draft is 2.05 meters. 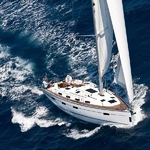 Find our offer by opening this link: Yacht charter Sukosan. 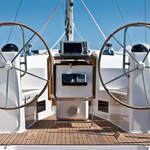 Yacht's equipment consists of : Dinghy, Bimini top, Anchor electric windlass, Radio / cd player, Bed linen, Autopilot, Gps plotter, Furling mainsail, Bow thruster. . Security deposit is at the level of 1500.00 EUR. 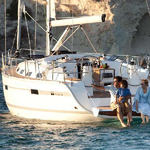 Choose our offer and spend great time on the deck of Allegro. 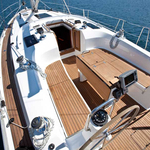 This Bavaria 40 Cruiser from Sukosan from Croatia Browse for by opening this link here: Yacht charter Croatia.